I was fascinated by these statistics and wondered how our education and our media only present the German-speaking culture as associated with a fascist regime. The German-speaking culture also produced Gutenberg, Martin Luther, Goethe, Sigmund Freud, Gustav Klimt, Wolfgang Mozart, Ludwig van Beethoven, Karl Marx, and Albert Einstein, among countless others. 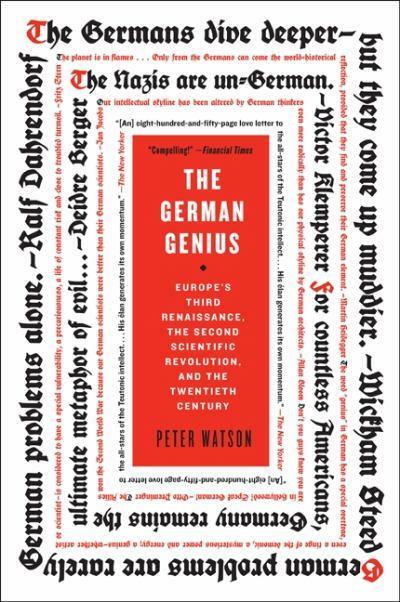 My fascination with these statistics led me to read the entire book – which chronicles the cultural history of the German-speaking world, including how it affected the western world’s way of thought. Looking back on it, I am very glad that I read this book within the first few weeks that I came to Germany – it provided me an understanding of all of the major figures who played important roles in the creation of German intellectual thought: the Humboldt brothers (the namesake of my German university), Friedrich Engels, Max Weber, Immanuel Kant, Carl Gauss, and Friedrich Schiller. At the same time, I found myself pondering three key thoughts that were introduced to me in the book: 1.) the development of the 1871 German state and whether the involvement of the citizenry is necessary for the creation of a successful state; 2.) the 60s in Germany and how rebellion from the older generations manifested itself in different ways in different countries; and 3.) the genesis of “high culture” in Germany, despite the fact that this same high culture was censored and repressed during the course of events of the last century. “In a real sense, and as Gordon Craig has pointed out, the people of Germany played no part in the creation of the Reich. 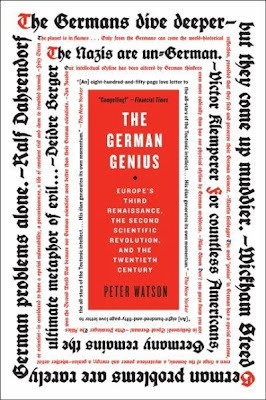 ‘The new state was a gift to the nation on which the recipient had not been consulted.’ Its constitution had not been earned; it was a contract among the princes of the existing German states, who retained their crown until 1918.” (page 402) Throughout the book, Peter Watson talks about German intellectualism stressing the individual – subsequently noting that political reform was not a strong part of the dialogue. In 1848, the movements to create a German state (which were predominantly organized by the citizens) failed. The 1871 creation of the German state under the leadership of Otto von Bismarck was essentially a political move and occurred without popular support. Interestingly, within 60 years, we see the rise of the National Socialist Movement, which mobilized a great number or citizens and elites alike. This chain of events is something which interests me greatly and is something that I am interested in learning more about. “…1968 in Germany saw a new generation of sons and daughters (die Achtundsechsiger) confront their fathers and mothers about the “brown” past, their involvement with the Nazis. This as a genuine upheaval in Germany, a searing and serious attempt by those born in the wake of the war to force the attention to confront its past.” (page 22.) The 1960s were tumultuous times all over the world – but I found it particularly interesting how this social unrest led to significant positive changes in Germany. In the midst of and following the Wirtschaftswunder, young people began to confront their history – a painful process for all involved; especially as this generation’s parents and grandparents had experienced the Third Reich firsthand – either as a participant or a voiceless onlooker. “…we look at the way German culture has ‘come back’ since the years of national Socialism, at the very great depth and variety of German postwar poetry, at the country’s serious theater, at the high ambition of its dancers, at its continued dominance in musical composition, performance, and scholarship, at its second film renaissance, at its preference for art of entertainment, at the bitter debate about the deleterious effects of popular culture…” (page 816.) I found this point particularly interesting – especially given my personal experience in Germany. I have attended 5 theater works, 6 operas, 3 jazz music concerts, and 2 classical music concerts. In contrast, I have attended the popular cinema only twice. The German culture is certainly based on “high culture” – but it is important to note that this culture has had (to) survive a fascist regime, socialism in East Germany, censorship, and the ever-growing force of United States culture.